How do I open submissions? I know there is a way and its password protected I just dont know how to do it. Help! 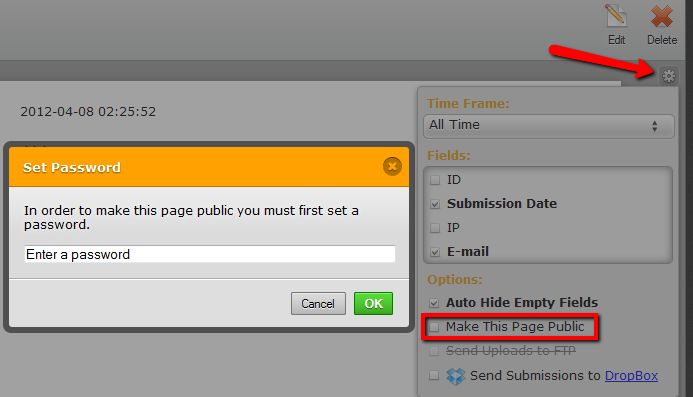 Then, click on 'gear image' options > Tick 'Make this page public' and set the password. You will then be given a link to where others can view the submissions.